Beautifully patterned Mahogany Obsidian healing tumbled stones. Most are a 1 inch size with some being slightly larger. Mahogany Obsidian is useful for removing energy blockages that deplete your inner strength and for protection from psychic attacks. Used at this Chakra to remove energy blockages, including psychic cords, that sap your inner strength. Also a good one for protection from psychic attacks by those who wish to harm you or those who might inadvertently do so. Mahogany Obsidian has an Amorphous crystal system and is in the mineral class of Oxides. It is formed volcanically when lava that is rich in silicic acid cools very rapidly. It hardens so quick that no crystalline structures are able to form. The result is a solid, molten mass that contains large amounts of minerals, water and gas inclusions. It is sometimes also called volcanic glass. 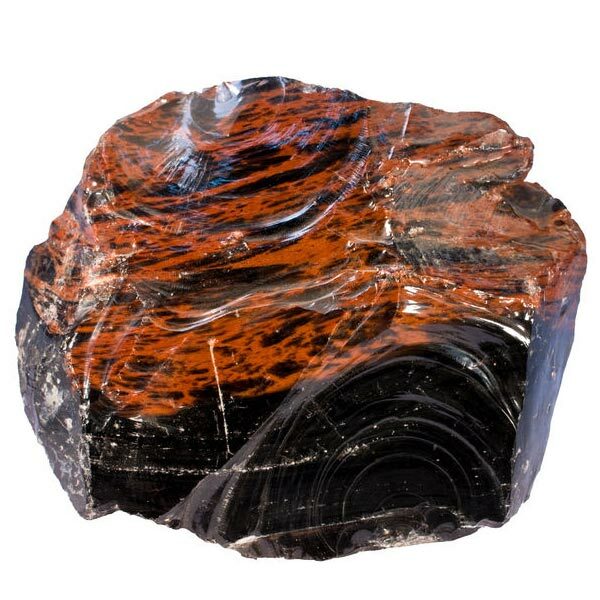 Mahogany Obsidian a very opaque, black color with iron inclusions that create the reddish brown mahogany colored stripes and swirls that are in it. It is found in South America, Japan, Mexico, Afghanistan, and parts of the United States. Mahogany Obsidian is very useful when used in meditation to heal emotional or soul pain. I recommend using a piece of clear Quartz as a final clearing when finishing your meditation. Like most of our stone friends, the best effects are gained from direct contact of holding or wearing it. Mahogany Obsidian is a bit more gentle than the Black variety in assisting us to see our shadow sides in their true form so they can become part of the self again. Forgotten capabilities can be retrieved and our perceptions can be refined to the point of clairvoyance. Mahogany Obsidian is a kind and gentle aid in dissolving shocks, fear, blocks and traumas. It can bring a great depth to our emotional nature and helps with many types of obsessions. It is a stabilizer of our aura in that it purifies it of negative emotional and spiritual influences. Mahogany Obsidian brings strength and couage to those controlled by fear or having a low level of self-confidence. It assists with quick mental planning in creating new goals and the paths to achieve them. It will also break through old, stubborn thought patterns and emoves those blocks in achieving your new goals. Mahogany Obsidian aids increasing the kidneys and liver function, to improve blood circulation, relieves pain and detoxifies tissues and organs. It also helps to remove the toxins inside the body that have been caused by free radicals or the unhealthy food that many consume. 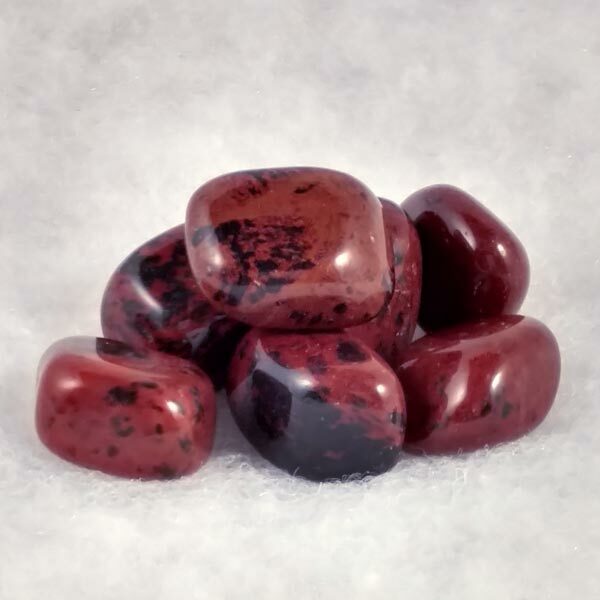 Mahogany Obsidian has a special affinity with Scorpio but benefits all signs. It has a Projective Energy, its Planet is Pluto and it contains all four Elements of Earth, Air, Wind and Fire. Some of man's oldest artifacts found have been made from Obsidian. Blades used for ritual purposes found in burial sites have been dated back to Palaeolithic times. It was believed they would drive out demons and protect those who had died on their next journey. Mahogany Obsidian was also used for healing wounds and alleviating pain. I find that an amusing tidbit since many ancient weapons were also fashioned from it and were the source of the wounds that needing healing.